The witness may be dumb, but so is Poirot when he receives a two month old letter from a woman who is now dead! Apparently the death was from natural causes, but coincidentally, old Emily Arundell had suspected someone from her family of trying 'to do away with her' on a previous occasion. Certainly the rewards would be great with four dependents standing to inherit a lot of money on her death. Imagine the surprise and consternation of the rest of the family when the money is left to Emily's annoying and dim-witted companion! 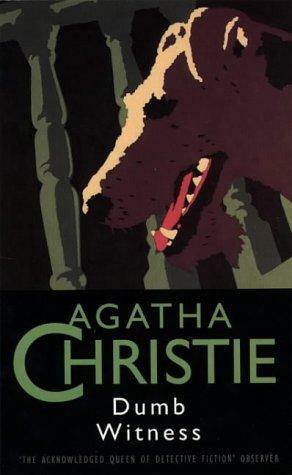 The deduction in the novel was sound and looking back I realize that Christie had paved the way for the identity of the murder. But not one I would want to read again any time soon.